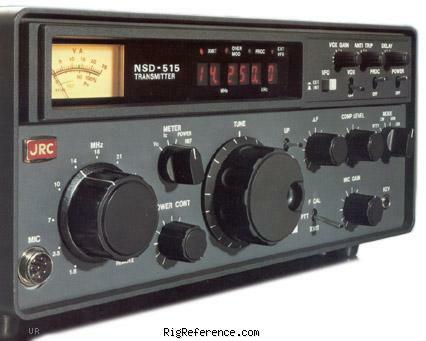 The Japan Radio Company NSD-515 is a digitally synthesized HF amateur transmitter covering 160 through 10 meters with 100 watts (50W on 10 meters). Digital tuning is in 100 Hz steps. This radio employs modular design with plug-in boards. The NSD-515 is designed to match the JRC NRD-515 receiver. Estimating the value of a rig can be challenging. We collect prices paid by real hams over the years to help you estimate the current value of the JRC NSD-515S. Just bought or sold this model? Let us know what you traded it for and help other ham operators!